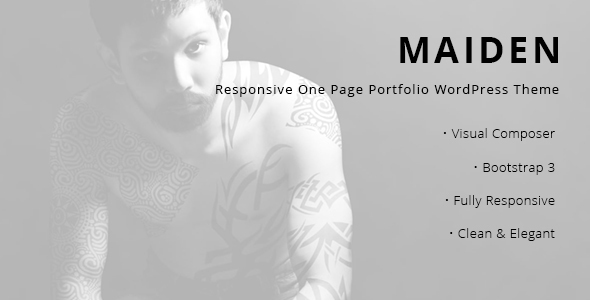 Maiden is a Responsive One Page Portfolio WordPress Theme for freelancers, designers, photographers, illustrators, portfolio websites, creative artists or agencies. Itâ€™s based on Bootstrap framework and HTML5/CSS3 technologies, with a minimal design, clean and elegant, fully responsive and customizable. Maiden is the perfect solution for any type of business, specially smart companies or startup with a very minimal style, modern, clean and elegant.